Is It Time To Re-Finance Your Home – Even if You Are Still Underwater on Your Mortgage? Today may be the best time in a generation to re-finance your home. Mortgage rates continue to hover at historic all-time lows. As a result, today’s historically low mortgage rates make this the best time to re-finance your home. More importantly, the Harp 2.0 program is a government sponsored program intended to help many struggling homeowners re-finance their homes even if they are underwater. Individuals that are “underwater” on their mortgage are eligible to participate in the Harp 2.0 program and take advantage of today’s historically low interest rates. Specifically, Harp 2.0 is a program that allows homeowners who are “underwater” on their mortgages to refinance. In particular, it’s geared toward people who can’t find assistance elsewhere. Put differently, the program is attempting to help individuals who don’t qualify for a traditional refinance because their homes are underwater. 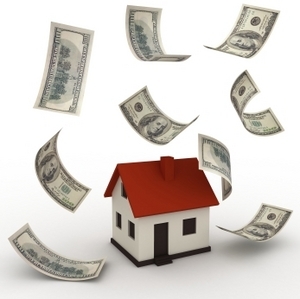 This is the only program that allows such individuals to refinance their homes. •	Not have been previously refinanced under HARP, unless it is a Fannie Mae loan that was refinanced under HARP between March and May of 2009. You must also be current for the last 12 months on your mortgage, and you should have a credit score of at least 620. Homeowners must also be able to prove their income and assets as these loans are “full docs” in order to qualify for a reduced payment. But the potential savings could be significant. You owe it to yourself to try and save money on that underwater mortgage by taking advantage of today’s low interest rates. You should contact us today to find out more about this program and assess your options regarding potentially re-financing your home.